1 x small helium gas cylinder. 30 x 9Inch metallic silver latex balloons. 1 x metallic silver 50yds curling ribbon. – Capacity of each cylinder: 0.25 cubic metres. 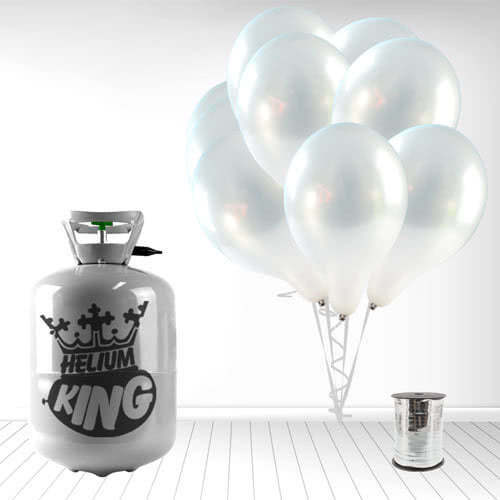 – The small disposable helium gas tank will inflate approx 30 of 9Inch latex balloons or 15 of 11Inch latex balloons or 12 of 18Inch foil balloons. – Please make a sizer with 2 armchairs placed 9 Inches apart and place the helium gas tank underneath. – As the inflated balloons touch the side of the armchairs please remove and tie the balloon with curling ribbon. – Please CLICK HERE to view our BALLOON INFLATION CHART. 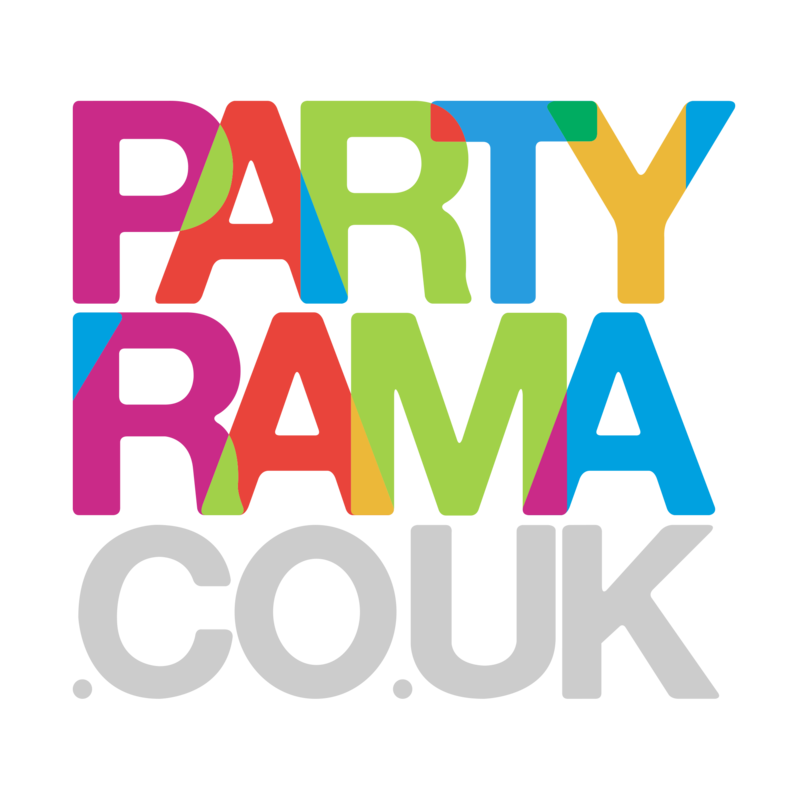 – For best results, fill the balloons 1-2 hours before your event. – Average float time will vary depending upon the size and type of balloons. – Helium valves sold separately. – Please note: we can ship helium cylinders to Northern Ireland only on a 2 working day shipping option. – Disclaimer: curling ribbon colour may not match the colour shade of the balloons provided.